I’m a smiley person. But I’ll tell you a secret: I don’t always feel like smiling. But here are a few things I’ve learned about smiling that might change the way you arrange your face. I’ve heard it said that if you smile enough, your brain will actually begin to release the chemicals that make you feel happy. Now this doesn’t mean a fake, cheesy grin. 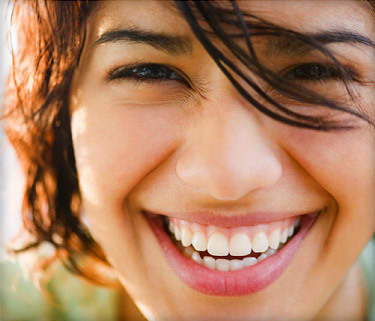 Actually making your facial muscles imitate a genuine smile after a while will make you really happy. Is this the epitome of “fake it till you make it”? Usually when I don’t feel much like smiling, I look around for a reason to smile. It might be the smallest thing, like the way the snow looks so pretty on the trees (even though it’s causing major inconvenience today), or the memory of something cute my kids said. I have a few go-to songs when I’m needing a boost, too, and they almost always lift my mood. Then, when I have a reason to smile, I give in to the urge. Lots. Someone once spoke to me in a line at the post office, saying I looked too serious and I needed to smile. That was unusual for me, but I was glad he pointed that out. A lot of the time I make a conscious effort to smile at others in the store, on the street, in a parking lot – especially if they don’t look that happy themselves. In fact, if someone looks particularly grumpy, I’ll actually try to catch their eye just so I can smile at them. It’s amazing the transformation (once they get over the oddness of it all) that comes over their faces. Not only can you help someone else find their smile, but all that smiling will boost you, too. I try and smile as much as I can. Boog blog. Reblogged this on Raphael Love | Inspiring Podcaster and Speaker. I do the same thing. I make myself smile until it feels natural, especially when I feel least like smiling. Also, I smile at strangers too. I’ve seen more than one person light up in response. The fact that I helped someone else have a bright spot in their day makes me a little bit happier.